Golf | Make Time For Sports. ​The most rewarding things you do in life are often the ones that look like they cannot be done. Putting is like wisdom – partly a natural gift and partly the accumulation of experience. Anirban Lahiri is the next great Indian hope. The sport is golf. The 28-year-old finished joint fifth at the the PGA championship—the final Slam of the year. 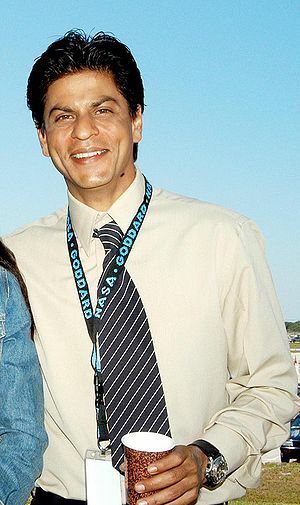 It is the best ever placing by an Indian golfer at a Slam surpassing Jeev Milkha Singh’s tied ninth place at the 2008 PGA event. This is just the beginning for the young man who won the Long Drive competition on the Tuesday before. Lahiri is in line for being the first Indian golfer to be an endorser for Rolex watches. Over the past 18 months, Lahiri’s rise has been nothing short of meteoric beginning at 195 and currently at 38. Lahiri is also the first Indian to play at all four majors in a calendar year only missing the cut at the US Open. Can Lahiri be the one who makes history for Indian sport by inscribing his name on one or more of the golf majors? We will wait and hope. A second consecutive failure at making the cut in a major probably has sports journalists scurrying to pen obituaries for probably the greatest golfer the sport has ever seen. Woods last won a major in 2007. Since then, he has battled injuries, an infidelity scandal with the fallout a divorce and intensified scrutiny of his private life and the results have just dried up since. Jilted lovers and wives who have been subjected to philandering husbands may discover some poetic justice in the high-profile athlete’s predicament and subsequent travails. It would be hard put for anyone (with an axe to grind or not) to not see some connection between his fall from grace and his fall in the rankings since. That’s as it may be. That’s not for us to decide or deride. Woods seemed to be putting it all behind him when he recovered his much-vaunted form and reached the apex of the rankings in 2013. But the Slams still eluded him. I don’t watch golf. I probably never will. But there was something mesmerizing about a Cablinasian (Caucasian, Black, American Indian, and Asian) male making it to the top echelons of a sport considered the last white man’s bastion and that too in style. His egalitarian appeal transcended race and nationality and he was the face and spur behind Nike’s foray into the game. Woods may never win another major. He may never make it past Jack Nicklaus’ 18 Grand Slams. Arguably, he may never go down as the greatest golfer of all time. But he deserves to be allowed a chance to enjoy the game in which he achieved greatness, he deserves to be cut some slack while he goes about reinventing his swing and other aspects—yet again. Like all superlative sportsmen, the man craves perfection and it would be foolish to dismiss his reactions to his recent failures as living in the past or excessively positive. Golf, thankfully, is not a young man’s sport. At least, that’s what pundits would have us believe. I’m not too sure given that major winners are getting younger by the generation. But the game and its fans will always be thankful to the man who made it one for the masses across the classes in his era and the next. Caroline Wozniacki reveals the back-story behind her sudden break-up with Northern Irish golfer Rory McIllroy. The nuptials were called off by the golfer ending a three-year relationship. “It was very hard because he made it very public from the start. He put out a press release so I didn’t have a choice, you know, it just got put in my face. I was shocked. I thought at least, you know, I would get a face to face or something. But there was nothing. It was just a phone call and I did not hear from him again. Wozniacki has since moved on and poked fun at her former boyfriend’s lack of inches. “I went to Miami after the French Open and Serena was there and we had a great time. I came back from that and I felt refreshed, I felt like a new self. I started practising towards Wimbledon and I was playing well. I think you just have to take life as it goes and I believe you never get things put on you that you can’t handle. I’m definitely on the other side now — I’ve moved on. I think it is very important to have a life off the court and to me it wasn’t that hard to balance tennis and a relationship. The ace golfer has since won two Slams while his ex-partner made only her second ever Grand Slam final at the US Open last week. 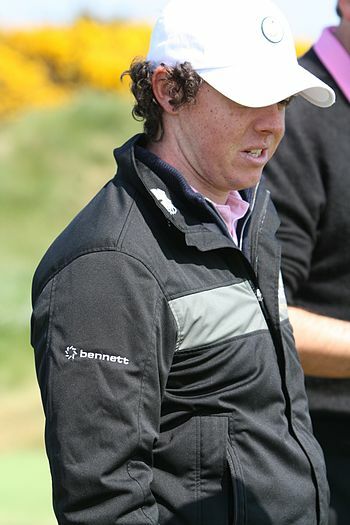 Irish golfer, Rory McIlroy, believes that girlfriend Caroline Wozniacki would be better at golf than him at tennis. Being a tennis player her upper body is pretty strong. She has more potential at golf than I do at tennis. The thing is that when I play tennis the competitive side in me comes to the fore and I want to play well every time but it just doesn’t happen. I would get more frustrated because I want to be able to grasp tennis straight away. The golfer disclosed that Wozniacki is something of a mental coach to him. "When Caroline and I might discuss our own sport, I am very interested in how she prepares herself for the mental side of big tennis tournaments like how she goes about setting goals or whatever.That sort of discussion gives me a good insight into how she deals with similar issues I might face." "That was a joke, okay? Tiger – I – that was a joke.Americans got to learn how to have a sense of humor, okay?" 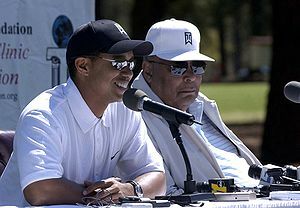 Presidential hopeful Herman Cain withdraws his endorsement of Tiger Woods as a prospective President claiming to have written a 2006 article in jest. "Yeah I can be pretty serious.But also there are some things that, you know, you just kind of take tongue and cheek, and you don’t make a big deal of it. Alright?" Cain is a syndicated columnist and a radio host besides being a successful executive. He currently leads the opinion polls among Republican candidates. 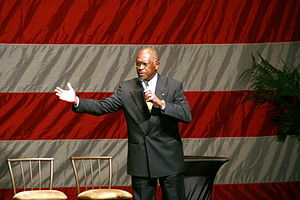 Cain is best known for his role in defeating Bill Clinton’s health care plan in 1993. Tiger will be 40 years old in 2016. The Republican Party should begin grooming him now for a run at the White House. His personal attributes and accomplishments on the golf course point to a candidate who will be a problem solver, not a politician. Tiger’s success on the golf course, which will translate to success in the White House, is a product of his character, discipline and leadership by example. Tiger has one objective when he steps up to the first tee – win. The Republicans desperately need a candidate who will not seek personal legacies through political victories that compromise conservative ideology and increase the scope of federal government. Tiger’s legacy is already set. Tiger Woods’ indiscreet liaisons outside his marital vows have witnessed not just the disintegration of his marriage but also his game. Woods has not won a tournament since. “I threw the hot dog toward Tiger Woods because I was inspired by the movie Drive.As soon as the movie ended, I thought to myself, ‘I have to do something courageous and epic. I have to throw a hot dog on the green in front of Tiger.’"
Brandon Kelly, who gained his fifteen minutes of fame by dunking a hot dog at golfing superstar, Tiger Woods at the Frys.com Open in San Martin, California last week, comes up with a bizarre explanation for his misdemeanor. The 31 year-old claims to be a Woods fan. "I honestly wish Tiger the best.One day I hope he breaks Jack Nicklaus’ record." "I guess he wanted to be in the news.And I’m sure he will be."